Is Gorsuch Playing Confirmation Game with Trump Criticism? Everyone is making a big deal over the comments Supreme Court nominee Neil Gorsuch made concerning President Trump’s harsh criticism of the federal judges who are blocking his executive immigration order. 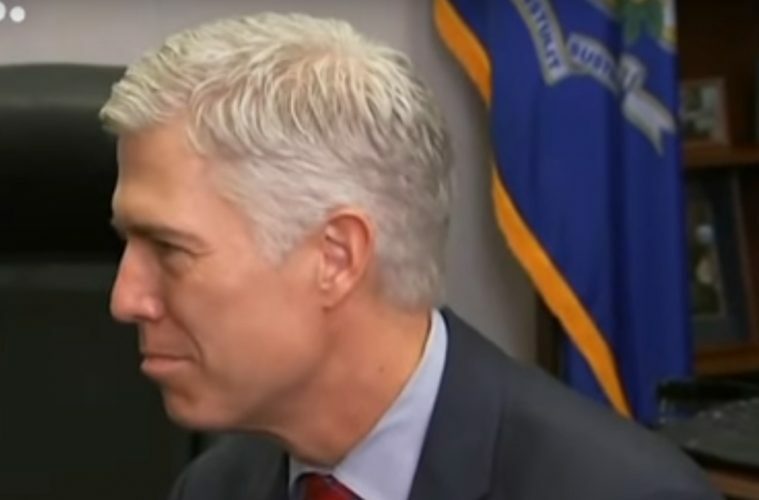 Some believe that Gorsuch is playing the confirmation game to win support of Democrats by criticizing Trump. However, many presidents in the past have leveled criticism at federal judges, so Trump’s comments are nothing new and just being blown out of proportion by the liberal media and Democrats. Well, the honeymoon is over, and Trump’s own nominee has spoken out against his outrageous condemnation of judges and courts. I guess Gorsuch and Trump won’t be buddies after all! Good, another potential justice who thinks for himself. This does not necessarily mean Gorsuch’s proving to be a “centrist” judge. It probably just means that he’s got manners and a respect for institutions that the agitator in chief lacks on all levels. With Chief Justice John Roberts being the only semi-moderate of the conservatives on the Supreme Court, we’d better hope that Justices Stephen Breyer and Ruth Bader Ginsburg are going to hang around for a while.